Donald Trump’s classless firing of FBI director James Comey, just days after Comey reportedly asked for more money for an investigation into the Trump campaign and Russia, elevates the situation to historic levels. There is only one word to describe Donald Trump going forward. I remember that night as a college freshman wondering what was happening to our country. And now the parallels are striking. Firing the man who is investigating you and your administration? Just like Nixon did? Using the political “N” word to cast Trump’s villainy may have been premature before this week. A few months back, Trump went to Twitter one Saturday morning and suggested that then-President Obama had wiretapped Trump Tower. 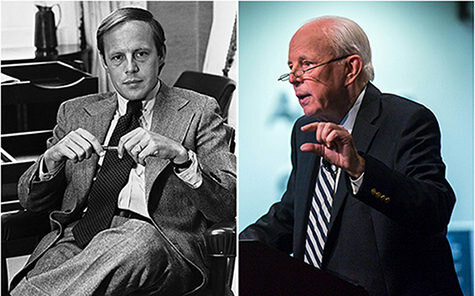 That didn’t stop former Nixon lawyer John Dean, the former White House counsel who was charged with obstruction of justice for his role in Watergate. He went on MSNBC in March talking about how the Trump administration seemed Nixonian. Since then, Comey has already shown his unwillingness to help Trump by declaring there was no evidence to back a claim that Trump Tower was wiretapped. And then there was his recent testimony before Congress, which coincided with reports that he asked for more money and resources for the FBI investigation into the Trump-Russia links. Great for a reality show. Lousy for a democracy. Even the way Trump did it was a bit odd. He didn’t talk directly to Comey, who was in Los Angeles speaking at a field agent function. Reportedly, Comey got the dagger while TV monitors, tuned in to news stations, heralded the news on the lower third of the screen. 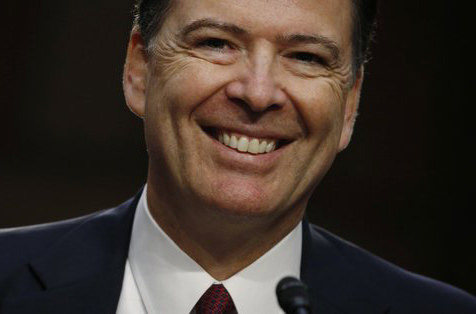 Comey thought it was a prank. But it was just the way Trump does the presidency. And America. This is why those who say they want the government run like a business will eat their words. Because Trump is running things like a capitalist authoritarian who puts his interests above all. It’s in his letter firing Comey. “While I greatly appreciate you informing me, on three separate occasions, that I am not under investigation, I nevertheless concur with the judgment of the Department of Justice that you are not able to effectively lead the bureau,” Trump said in a letter dated May 9, asserting his innocence as he threw Comey under the bus. The White House also released another letter by Attorney General Jeff Sessions (who recused himself on all things Russia) and deputy attorney general Rod Rosenstein, which gave Trump “cover.” That provided the pretext–the reason that’s not the reason– that it wasn’t the Russian investigation, it was the handling of the Clinton emails that caused the firing. But no Clinton supporters or Democrats were pushing for Comey’s head, not now. Clinton’s emails are old news. Candidate Trump liked the ruckus Comey caused when it helped him win the presidency. But this Russian investigation is another matter. Even in the day after the news conference, White House spokesperson Sarah Huckabee Sanders only made the swamp talk murkier, when she pointed out that Trump was actually upset with Comey back in July. How about this: Getting rid of Comey allows Trump to “fix” things at the FBI with a Trump “loyalist” who will do exactly what he’s told. That’s more credible than Kellyanne Conway, who resurfaced on TV to defend Trump and say it wasn’t about Russia. Conway is good on pretext though short on truth. Even the Justice Department has come out saying that reports of Comey’s firing, following his request for more resources for the Russia probe, is false. Comey’s firing is about Russia, even if just by coincidence. The emails don’t matter any longer. Russia still does. And now Trump has lost all credibility firing the man investigating Trump’s approach to power and the presidency. Even moderate Republicans are questioning Trump’s timing of the Comey firing. Why didn’t Trump do it in January, they ask? Well, he liked Comey then. But once the FBI began to move in and work for the American people, not so much. Now Democrats, caught by surprise, have new life. They’re demanding a special prosecutor to be appointed to assure fairness and strict adherence to the rule of law. They didn’t mind Comey as long as he was going after Trump. In the meantime, the optics just aren’t working for Trump, who manages either wittingly or unwittingly to make things worse for himself. It wasn’t Nixon saying, “I am not a crook.” But the historical echo was clear as Trump gave his answer while sitting next to Henry Kissinger, the former Secretary of State under Nixon during Watergate. 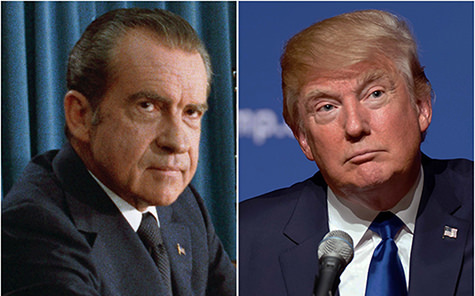 It was the first statement on Comey for the ethically-challenged Trump–The New Nixon. What he’s done is far worse than the Saturday Night Massacre. And as the probe plays out, raising issues of treason and abuse of power, we’re facing a far greater threat to democracy than even Watergate.